“God never made no two-headed cows? What in the heck is she talking about?” I thought to myself as I walked away, wondering if I had missed something in that conversation about our church’s vision and direction. The dear old saint that told me, “God never made no two-headed cows” loved the Lord dearly and is undoubtedly in His presence now. She loved the Lord, and just wanted me to get in line with the pastor's vision rather than hearing from God on my own. I must confess, though, that at first I just didn't get it. "What do two-headed cows have to do with anything?" I asked myself. Being a new believer, I searched my concordance looking for Scriptures referencing two-headed cows! I thought she was quoting Scripture! I eventually realized that she was saying that the pastor was the head of the church and that God gave the church only one head – the senior pastor. She was implying that it would be unnatural, or contrary to God’s plan for the church to have more than one leader. The problem was that I couldn't find that in Scripture. I did find that Jesus is the head of the church and that each church was to be led by a group of elders made up of apostles, prophets, evangelists, shepherds, and teachers (Eph. 1:22, Eph.4:11-13), but I couldn't find one reference to a senior pastor or priest being the head of the church. And, even though there are no references to two-headed cows in the Bible, I still heard that saying repeated several more times by well-meaning saints. These well-meaning saints sincerely believe that only the senior pastor can receive the vision for the church. Yet they are sincerely wrong. The clear message of the New Testament is that Christ is the head of the church and each believer is a member of His body. Just as each fingertip receives its orders directly from the brain, each believer can receive vision, direction, and instruction from the Head of the church – Jesus! In fact, contrary to those who tell us that only the senior pastor can receive vision and direction for the church, we are warned in Colossians 2:19 to not follow domineering puffed-up church leaders who have lost connection to the Head. Instead, all believers (not just pastors) are to stay connected to the Head (Jesus!). The problems start when the members of the Body are not communicating with the Head. Think about that for a minute. If your legs were not properly connected to the head, if they couldn’t receive the proper messages from the brain, what would we call that? Paralysis! They wouldn’t move. Or, if they got the wrong messages and began moving on their own, what would we call that? A seizure! Let’s take that a step further and ask ourselves a question: Is the Body of Christ in America today healthy or is it somewhat paralyzed and dysfunctional? An honest analysis would affirm that many members of the Body of Christ today are inert and motionless, relying on other parts of the Body to do the things they should be doing themselves. "The clear message of the New Testament is that Christ is the head of the church and each believer is a member of His Body." 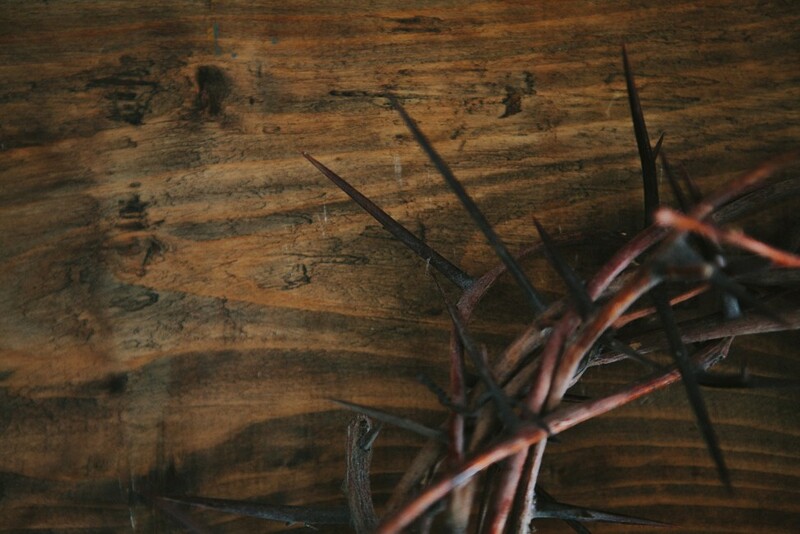 ​Dysfunction in the Body of Christ is not something new, however. The Apostle Paul addressed some dysfunctions in the Body in the church at Colossae, Corinth, and other places, which makes one think a bit. What would Paul write about the church in America today? Would he address the 80% or more of the Body of Christ who don't really do anything much except come to a Sunday morning meeting once in awhile? Would he call them paralyzed and tell them they have lost connection with the Head? I think he probably would! Many members of the Body of Christ in churches today have become spiritually weak and ineffective, if not completely paralyzed. Could it be that this is why so many churches are so weak today? Could it be that we have slipped into a paradigm where we don't expect God to speak to every believer nor use every believer to minister to others? Could it be that we have bought into a system that exalts only a few to minister status and declares that only a select few can hear from God and give direction to others? Many have bought into this kind of thinking hook, line, and sinker without even realizing it. Sure, we may know intellectually that the church is the Body of Christ and we are well-versed in the New Testament. But when it comes to living it out, some of us leaders insist on preaching every Sunday, leading every meeting, praying every public prayer, and even cleaning up after every potluck. We don't see the church as a body that is better off when it is being exercised. Instead, we see it as “our church” and when someone else serves they are doing us a favor. And if someone else ministers effectively or perhaps even better than we would, then we become insecure and worry that we might lose our position or the favor of the people. To break out of this kind of thinking, we must understand that inviting others to lead in the church doesn’t mean that the church will turn into a two-headed cow nor does it mean that our position will be threatened. The church will always have one head -- Christ -- and each of us serves at His pleasure, for His pleasure, and by His pleasure. When pleasing God becomes our aim, then training and releasing leaders becomes our delight. For the various leaders that Christ raises up in a local body are for the purpose of equipping and building up the whole body -- each and every member -- for the work of ministering to the world and serving God. May the Lord help us to see the Body of Christ as He sees it – full of potential and full of healthy members who are just waiting to serve, pray, teach, and minister in all sorts of ways. May He give us the courage to allow others to teach, lead, and minister. May He give us wisdom as to how to structure our weekly meetings so that everyone has a chance to pray for others, encourage the saints, share a testimony, lead in worship, and bring teaching and instruction to the Body. May He teach us how to lead the Body into doing everything we need to do to become strong and stay strong in accordance with 1 Corinthians 12-14 and the rest of the New Testament.